This integral box comprises 6 equal sized compartments and is designed to be compatible with large and medium F-Boxes. 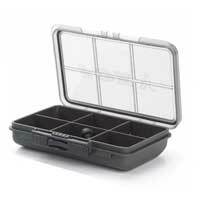 Perfect for storing all kinds of rig components such as hooks, swivels and beads. 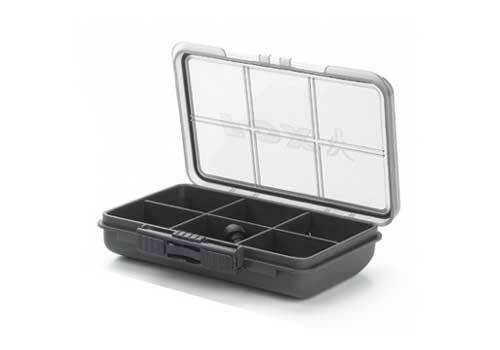 The box features a waterproof seal, long life hinges and a secure locking slide catch.